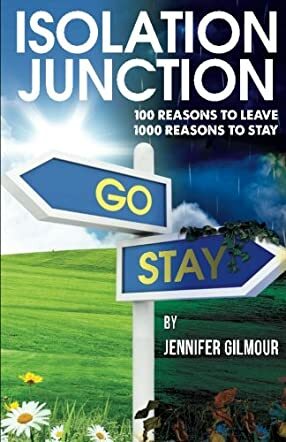 Isolation Junction by Jennifer Gilmour is a story of one woman’s tragic tale of domestic abuse. Rose meets and falls in love with a man, despite her family's reservations. Slowly the abuse and control begin, subtly disguised as love that chips away at her self esteem and perspective between right and wrong. Years of abuse are endured and Rose finds herself trapped by debt and with no clear way of escape. A chance meeting with Tim gives her a glimmer of hope. His kindness gives Rose a vision of what could be and the strength to fight for a better future for herself and her small children. This is not a story of hopelessness, but one of strength, courage and a battle to survive. A tale of love both abusive and controlling running parallel to one of kindness and tenderness. Rose has to fight to escape the evil clutches of her abuser, then find her last bit of strength to fight for her beloved children. Isolation Junction cleverly builds dramatic tension from the outset. Jennifer Gilmour writes with compassion and realism on this sensitive subject. From the first chapter you empathise with Rose and feel her pain and anxiety. Jennifer Gilmour has succeeded in building realistic characters that you understand and believe from the beginning. You want Rose to succeed in her battle against evil and abuse. I found my stomach churning as I read the subtle way the control and abuse started, and how she tried to appease her abusive partner. This reveals the true build-up to domestic violence and is an eye-opener for anyone who thinks they maybe the victim of abuse but is still blaming themselves. Highly recommended.